The Mexican tetra fish can repair its heart after damage — something researchers have been striving to achieve in humans for years. Now, new research funded by the British Heart Foundation (BHF) published in Cell Reports suggests that a gene called lrrc10 may hold the key to this fish's remarkable ability. Around 1.5 million years ago, the tetra fish (Astyanax Mexicanus) living in the rivers of Northern Mexico were periodically washed into caves by seasonal floodwaters. Over time, the floods became less frequent and eventually stopped. This created the perfect environment for different members of the same species to adapt and evolve to suit their different habitats — the river and the caves. Dr. Mathilda Mommersteeg and her team at the University of Oxford compared the genetic code of the river fish to that of the blind cave fish to discover what special mechanisms are required for heart repair. They found three areas of the fish genome were implicated in the fish's ability to repair their hearts. The researchers also compared the activity of genes in the river versus the cave fish in the period after heart injury. Two genes, lrrc10 and caveolin, were much more active in the river fish and could be key in allowing the river fish to repair their hearts. Hundreds of thousands of people in the UK are living with debilitating heart failure, often as a result of a heart attack. During a heart attack, the heart is deprived of oxygen leading to the death of heart muscle cells and their replacement by scar tissue. This stops the heart muscle from contracting properly and reduces the heart's ability to pump blood around the body. People suffering from heart failure can't regenerate their damaged hearts, and often the only cure is a heart transplant. Researchers hope that by unlocking the secrets of these remarkable fish, we will one day be able to heal human hearts in much the same way. Professor Metin Avkiran, Associate Medical Director at the British Heart Foundation, said: "These remarkable findings show how much there is still to learn from the rich tapestry of the natural world. It's particularly interesting that the ability of the river fish to regenerate its heart may arise from an ability to suppress scar formation. We now need to determine if we can exploit similar mechanisms to repair damaged human hearts. "Survival rates for heart failure have barely changed over the last 20 years, and life expectancy is worse than for many cancers. Breakthroughs are desperately needed to ease the devastation caused by this dreadful condition." 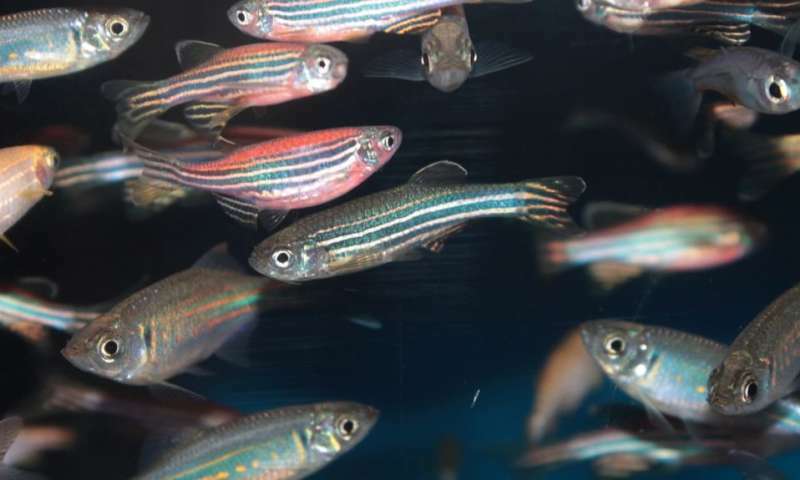 Dr. Mathilda Mommersteeg, Associate Professor of Developmental and Regenerative Medicine at the University of Oxford, who led the research, said: "A real challenge until now was comparing heart damage and repair in fish with what we see in humans. But by looking at river fish and cave fish side by side, we've been able to pick apart the genes responsible for heart regeneration. "Heart failure is a cruel and debilitating illness that more than half a million people across the UK are living with. It's early days but we're incredibly excited about these remarkable fish and the potential to change the lives of people with damaged hearts." So, is there next step to make the blind cave fish also capable of repairing their hearts like the river fish, by attempting to transfer the 2 genes, lrrc10 and caveolin during embryonic development ? We never have delved into DNA of Super-Sized Elephants and Whales to grab those genes to transfer into 1-celled, 1st day zygotes of Pigs and Hens. We can then make appropriate cages to protect ourselves from them and kill'em with a Bullet when they grow into big sizes. A few will serve a town or city per day and the remaining can be cooked and pushed into freezers. Thus their prices will be pushed down into cents. Labs all over are supplied with mice and rats. They can be fed with these animals and also with unwanted body contents of their fellow birds, such as their digestive systems ! be, which of your caretakers got sloppy and let you off your meds and into the asylum office to access their computer?